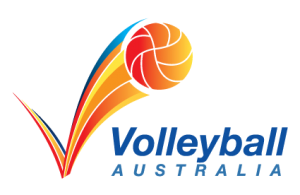 The Volleyball Australia Queensland Academy of Sport Volleyball Program is a partnership between Volleyball Australia (VA), Queensland Academy of Sport (QAS), and Volleyball Queensland (VQ). The QAS Volleyball Program was established to provide a regular high performance training environment for young athletes that have been identified as having the potential to play volleyball (beach and/or indoor) at the international level for Australia, with the ultimate goal of successful performance at the Olympics. The QAS Volleyball Program feeds into school, club, and state squad activities. We encourage all of our athletes to participate in these other programs simultaneously with their QAS training to create a daily training regimen. The Elite and Development squads practice at the Queensland Sport and Athletic Centre and Sandstorm Beach Club, both located in Nathan. These squads are comprised of athletes who have been identified by QAS and national program staff. The Emerging Talent Squad is an initiative of the QAS Volleyball Program that will develop grassroots volleyball players (targeting 15 years and younger) and will teach fundamental movement skills as well as volleyball-specific techniques. For more information about the Emerging Talent Squad download this flyer. *Some trainings will be cancelled due to availability of venues, coaches, and clashes with competitions. Registration for Elite and Development Squads is by invitation only. If you would like to be considered for these squads, please register for one of the Emerging Talent Centres at the Sunshine Coast, North Brisbane, South Brisbane, or Darling Downs, (registration forms are currently not available, will be available soon) or contact the QAS Head Coach. Operating from South East Queensland, QAS Volleyball recognises the difficulty in incorporating regional athletes into the weekly training sessions. To assist regional athletes, a number of Regional Scholarships are available. This scholarship provides regional athletes with QAS support for a reduced cost. For further information, please contact the QAS Volleyball Head Coach, Assistant Coach, or Emerging Talent Coach.